Did you know that many labourers earn more than graduates in this country? I paid attention to two labourers – one Nigerian and one Cameroonian – operating in the building materials section of a market in Nigeria recently. The Cameroonian – very popular because of his amiability and diligence – works in the wood section, helping builders to load and offload planks into trucks. The Nigerian works in the cement and iron rod section. I got friendly with them and I asked them what they earned. They told me they earned a minimum of N5,000 per day, and they work for six days. That is about N120,000 per month. And they don’t pay for any shop. I have also asked some repairers of small generators what they earn every day. The amount I got was also between N4,000 and N5,000 per day. Many repairers of vehicles earn more than that. Phone and laptop repairers also earn as much as that or more. When I tried to repair my children’s bicycles recently, I found out that bicycle repairers – who are scarce in a city like Lagos – earn that much. Many graduates don’t earn up to N50,000 monthly, and they spend much of the income on clothes, shoes, phones, and transport. Chauffeurs who work long and irregular hours sometimes earn about N30,000 per month. And sadly, many people stick to one job that has no prospect of growth for decades as if they got a divine injunction to remain a driver or clerk all their life. As the economy tightens, we must get practical. If your job can only lead to poverty, change it. It does not matter how many degrees you have. But ensure you do something that interests you. Those who earn salaries are the worse hit here. Two reasons account for this pitiable behaviour. First, they believe that their salary is assured – a spring never runs dry! Second, there is the pressure to live up to the expectations of society. If your mates have all visited London or the United States, why should you remain the only “bush” person in your group? If your mates (including your juniors who earn far less than you) have all bought cars (usually through loans), why not you? Do they have two heads? Why should the whole world continue to see you as the only unsuccessful person because you don’t enjoy the best of the great things of life like clothes, shoes, jewelry, cars, overseas trips, telephone handsets, electronics, etc? It can be very painful not to be seen as a “cool” guy or babe, you know. You see people who earn good salaries borrowing money before the middle of the month and you marvel. Where have all those fat salaries gone? Look no further: the bank has taken the monthly repayment for the car; the office has deducted the money for the air-conditioning system, TV set and refrigerator; the man who supplies children’s clothes and toys has collected the debt owed him; the lady who supplies shoes and bags has collected part of the debt owed her after much quarrelling; the landlord has been paid; the children’s school fees have been paid; parents and siblings have been taken care of or told to wait till next month. How much is left? NOTHING! There is nothing left for the family’s feeding and travelling expenses. The hard-working, high-flying, upwardly-mobile brother or sister goes on to borrow N2,000 from a colleague, then borrows N5,000 from another colleague to pay off the first colleague, and yet borrows N10,000 from another colleague to pay off the second colleague. By the time the pressure from the third colleague begins to get high, salary is paid. He or she is saved by the bell. The vicious cycle grinds on. The rat race continues. Tired of this lack of progress in life despite a good salary, he or she is introduced to “deals,” a euphemism for stealing from the company or demanding bribes from the company’s suppliers. Some run into trouble. And the devil (or poor economy) takes the flak. Celebrities are even worse in this regard. We must put our earnings to other ventures that create more money, so as to be able to stay afloat at a time like this. It may be a farm, a shop, a commercial bus, a class for those preparing for GCE and UTME. Although it can be taxing, yet saving and investing are the only guaranteed means of escaping from a life of financial struggle to a life of comfort. Great achievers take that good, old and trusted route. They do not let society put them under pressure. They follow their plan through. They don’t get distracted by short-term acclaim; rather, they focus on long-term success. But ordinary folks cannot endure the pressure from society; neither can they control their own avarice, nor do they have the stamina and patience to save a little amount regularly for a long time. Years ago, a colleague of mine in a former office told me that he was too big to save a mere N5,000 a month. His ideal monthly amount to save was N20,000. But since he could not afford to save N20,000, he continued to wait for a favourable break. Yet, he was not less than 40 years old. Albert Einstein said that he didn’t know the Seven Wonders of the World, but if he was asked what the eighth wonder of the world was, he would say it was compound interest. A man keeps aside N100,000 at a mere 10 per cent annual interest rate. By the end of the year, the money becomes N110,000. In the second year the 10 per cent interest is no longer on the initial N100,000 invested but on N110,000. So, by the end of the second year, the new amount becomes N121,000. The cycle continues like that till the end of the tenure of the investment. By the time the owner collects his money, he does not just get the initial sum invested and the interest on it; he gets also the children, grandchildren and great-grandchildren of his initial investment. But it is my belief that any investment that gives anything less than 10 per cent annual return, like banks’ fixed deposits, is a rip-off and should be avoided as men of old avoided lepers. It is the type of fruitless business very cautious people get into in the name of investment. 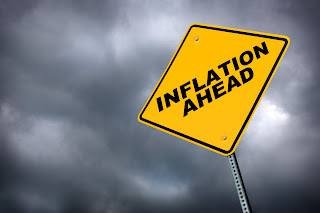 By the time inflation has taken its toll on the money and the bank and government have collected their taxes on the profit, the cautious investor gets an amount of money whose value is lower than the amount he invested. It is time to put on our thinking cap and come up with measures to beat the current economic crunch.